Hobbies…I have a lot of them. I can honestly say my hobbies make up a good deal of who I am and what I do. In fact, my site right here is a place I enjoy rambling on and on about my crazy hobbies and activities. It started out as career and now its become a pastime. I have been studying costuming since 2000. It really is a passion of mine, enough that I even went and got a Masters’ Degree in the subject. 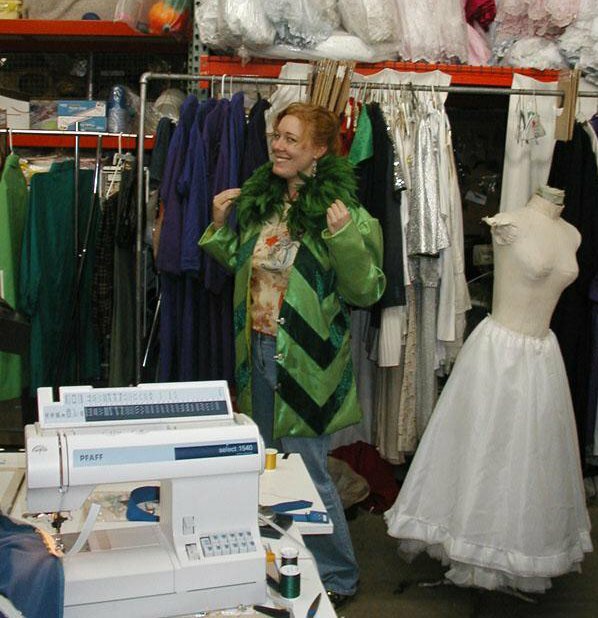 I worked as a theatrical costume designer for a few years after graduation and quite a few before as well. Regardless of being involved in costumes for almost 11 years, I really do still have a lot to learn about the subject. I specialize in more craft style work (wig styling, hat making, armor building, etc.) but over the years I have been really working on my sewing skills. 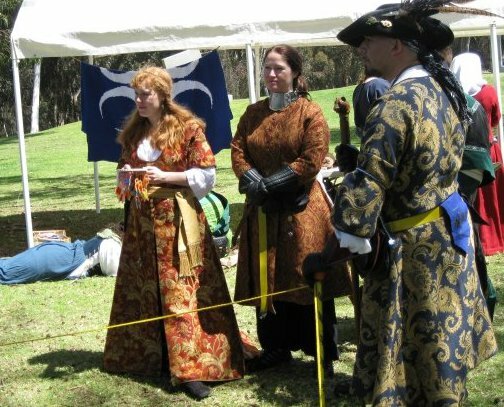 Since joining the SCA I have taken a shine to Historical costuming and I’ve been having a good time recreating historical garments from Medieval to Victorian…still working on the Victorian side. If you’re interested in seeing more costume work of mine you can check out my costume blog, Costumed Nonsense at www.costumenonsense.blogspot.com. This…is a very new hobby. and by new I mean I’ve only been trying it for the last 4 months since writing this page. 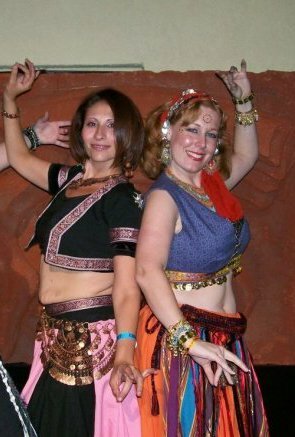 I became fascinated with Belly dancing years and years ago after attending the Ren. Faire up in Northern California back in 1999. Of course, I have all the grace of a hippo on roller blades so I didn’t give much thought at the time. After getting involved in the SCA I began to take an interest in Middle Eastern studies, this included dancing. Over the last few months I have been slowly learning (Emphasis on the SLOWLY) how to belly dance. At the moment I know the basics but I’m hoping to find some classes on more specific styles such as Turkish and Egyptian. Right now I’m very fascinated by the Tribal Style of dance and costume…But trust me when I say I’m a novice. Because I am a biiiiiiig novice.